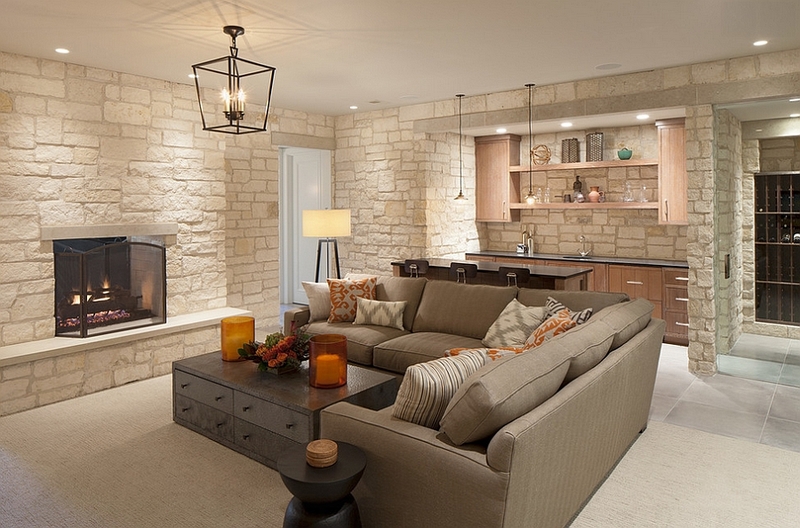 Designing a dream home is much more than just getting the basics right. 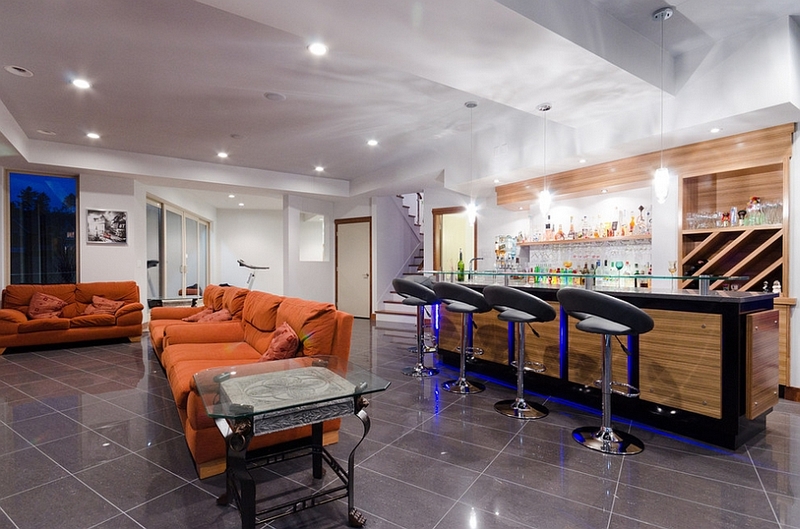 From stunning poolside retreats to relaxing sunken lounges, contemporary homes are all about creating a gorgeous getaway right at home. 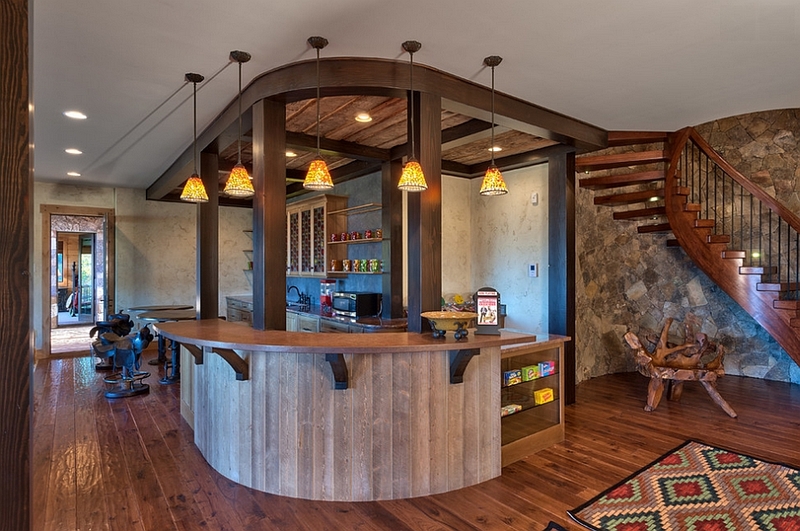 While it’s great to spend a beautiful evening next to the pool as you take in the sights and sounds outside, others might prefer an indoor retreat that lets them kick back and enjoy a lazy, relaxed weekend. 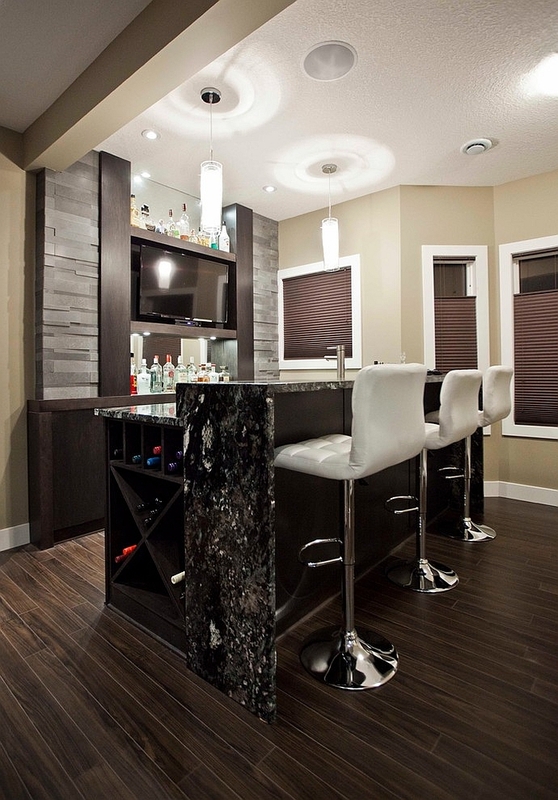 And a stylish home bar that completes your basement man cave allows you to have all the fun right at home. 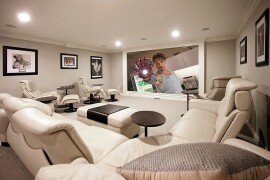 The best part is that you never need to worry about the drive back home! 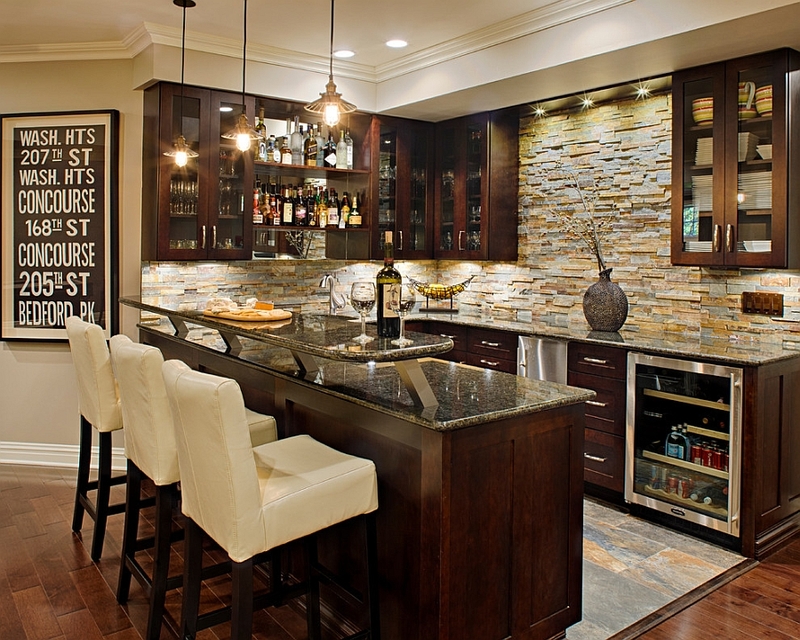 While many of us might have already contemplated creating a stunning home bar, space is often the biggest conundrum. 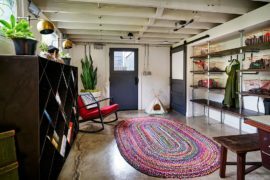 Today we take a look at some inspired designs where homeowners have turned to the basement to find this elusive additional space. 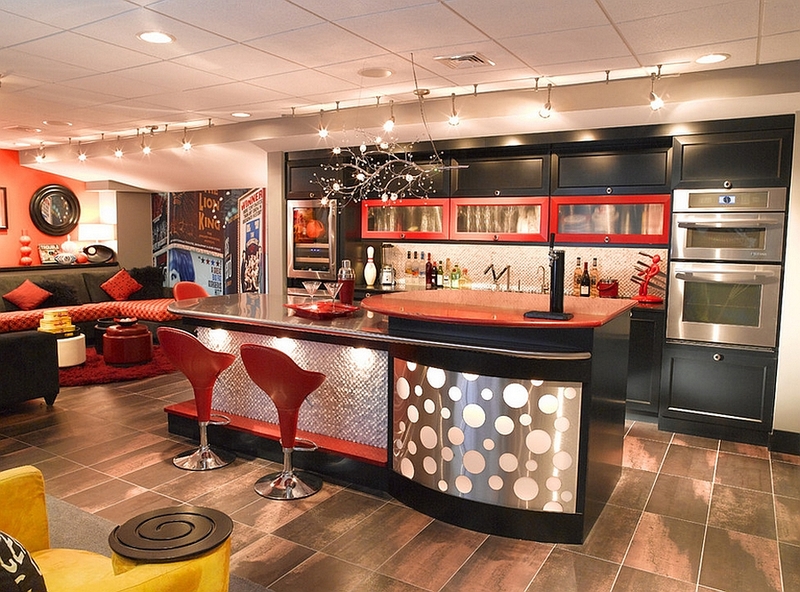 Some of these basement bars are extravagant and others are ergonomic, and they all will leave you thinking about a quick basement renovation. 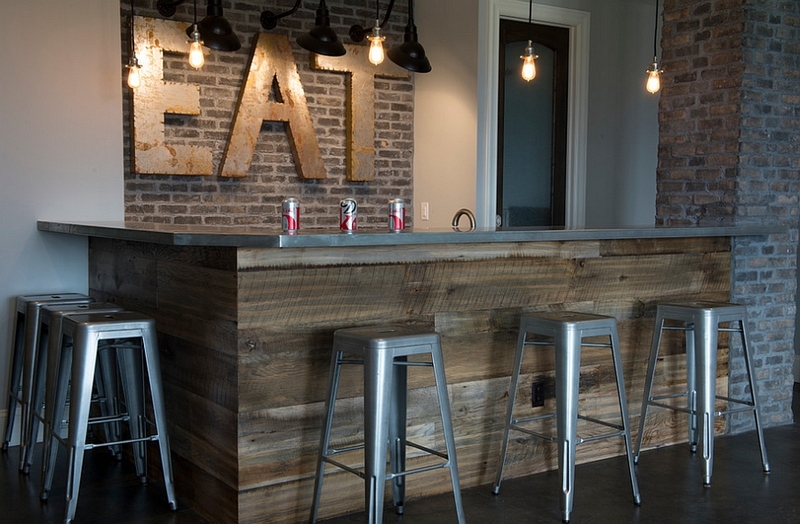 When it comes to shaping home diners and bars, nostalgia always plays a big role. 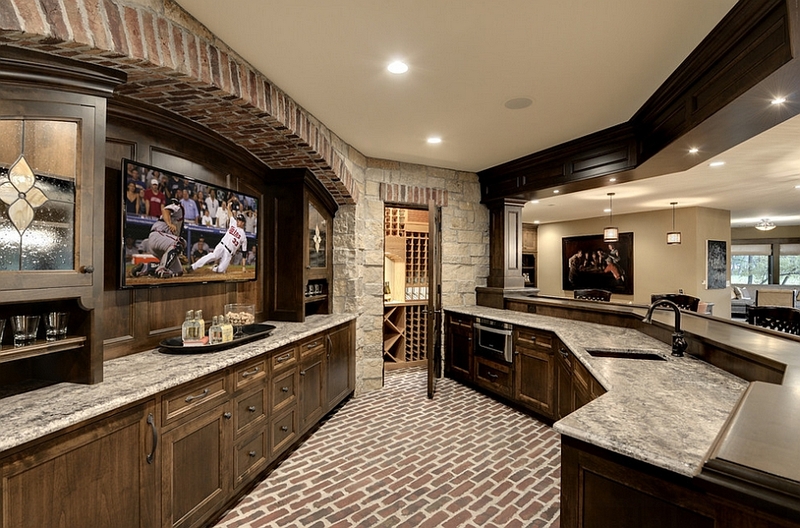 For those with plenty of space to spare in the basement, think about creating a home bar and a man cave that mimics the ambiance of your favorite pub. 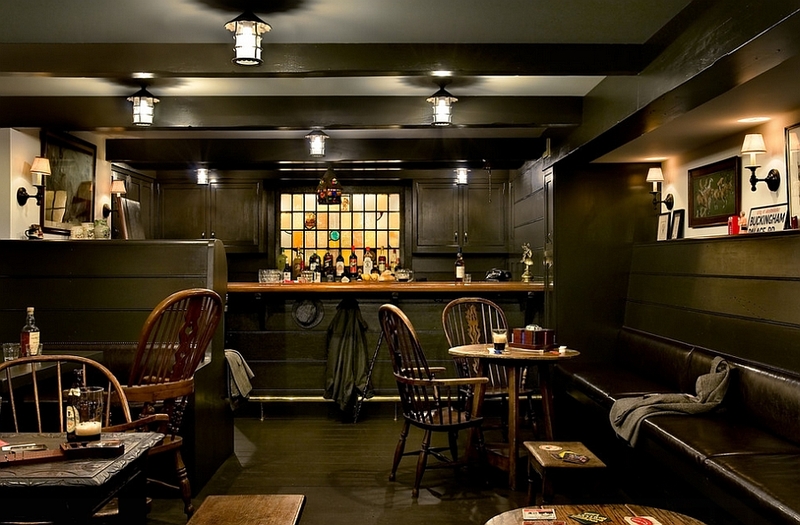 Maybe it is that little place down the street that was your refuge during your college days or even all those years ago when you were still a party animal! 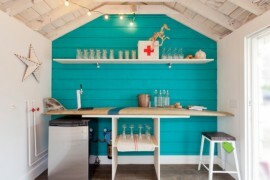 Picking a similar theme is a safe bet, as you will never feel out of place or bored with it. 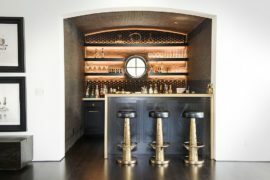 The hot trend in home bars is to embrace the traditional pub style with exposed brick or stone walls, iron embellishments and traditional lighting fixtures. 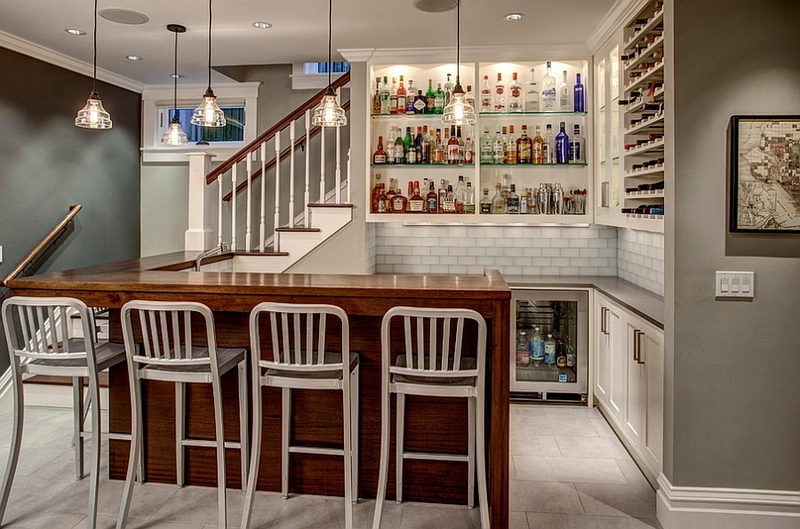 You do not need a lot of space for shaping this pub-inspired home bar. 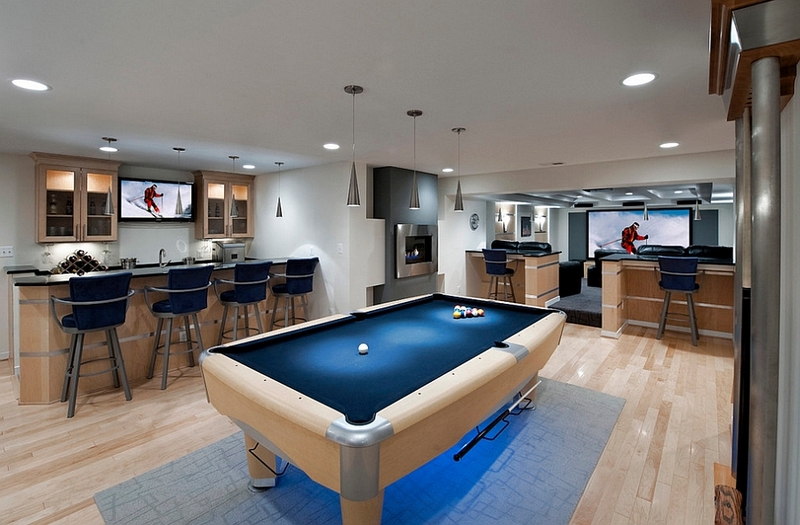 Even if you are not planning to bring a pool table and a gaming zone, you can still create the right mood with some neon lighting, the right backdrop and furnishings that have a rustic appeal. 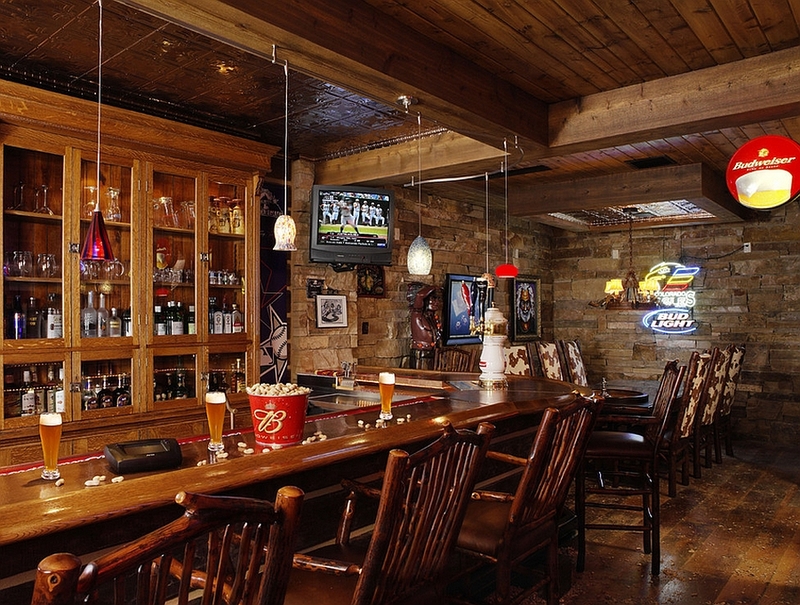 Be it a UK pub-inspired home bar or one that is all about ‘Americana’, the atmosphere of the basement will add to the vibe. 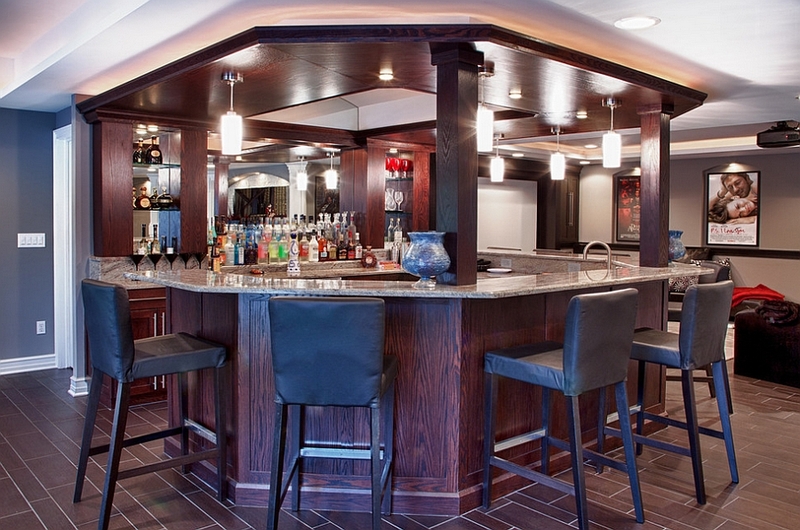 The basement bar transforms into an even more enticing option when you turn it into a fun hangout. 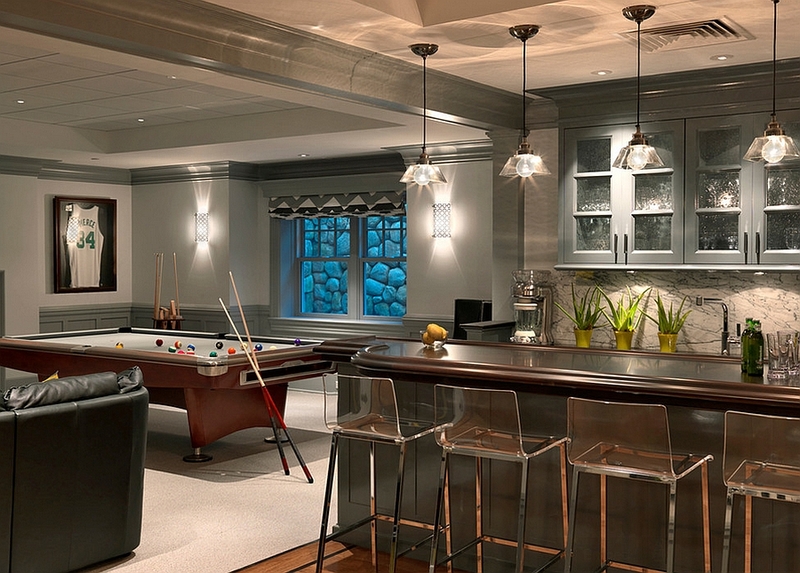 How you choose to extend this space and integrate it with the rest of your basement design depends on both your needs and interests. 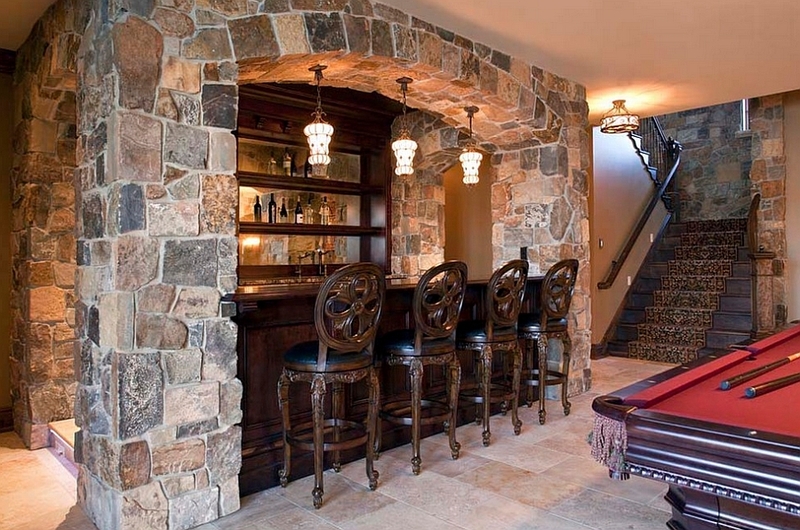 If you love a glass of wine along with your favorite page turner, a cozy basement living area next to the bar is a cool choice. 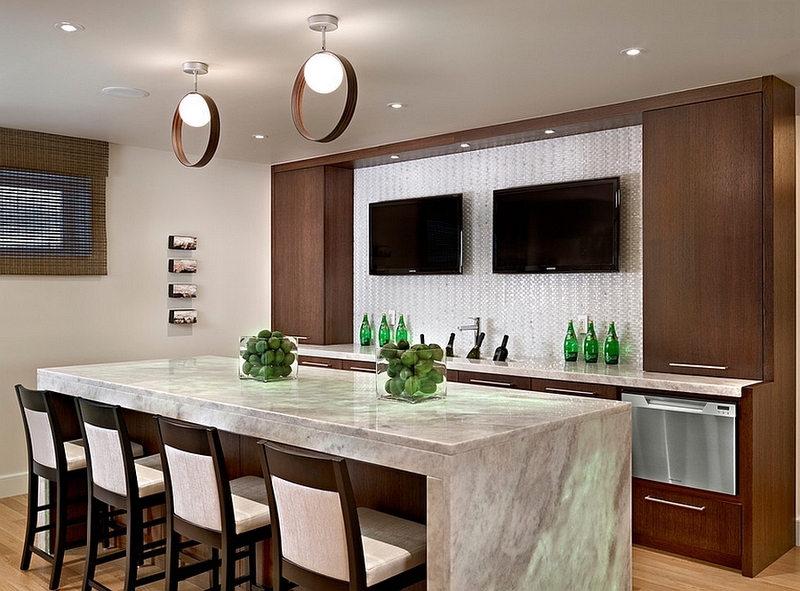 Add a smart entertainment center or even a simple dining space for two, and you have a romantic escape right at home! 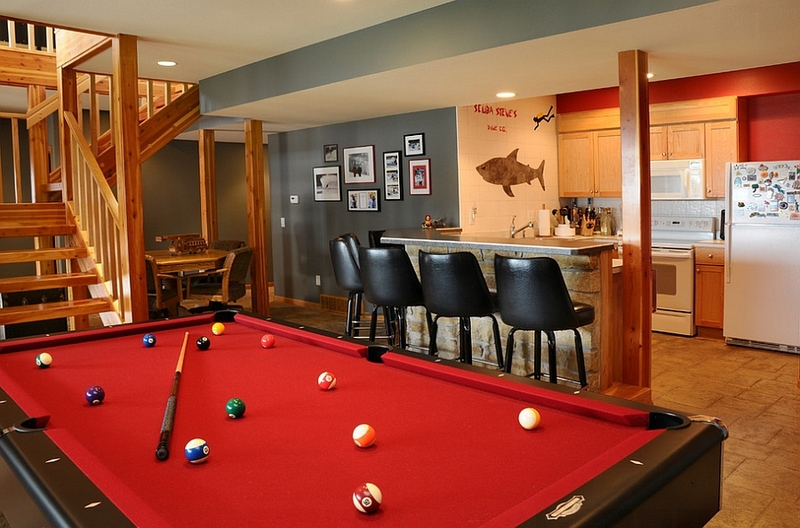 Those planning for amazing weekend parties with friends and family can bring a pool table or a foosball table, along with some comfy seating to create a basement party zone. 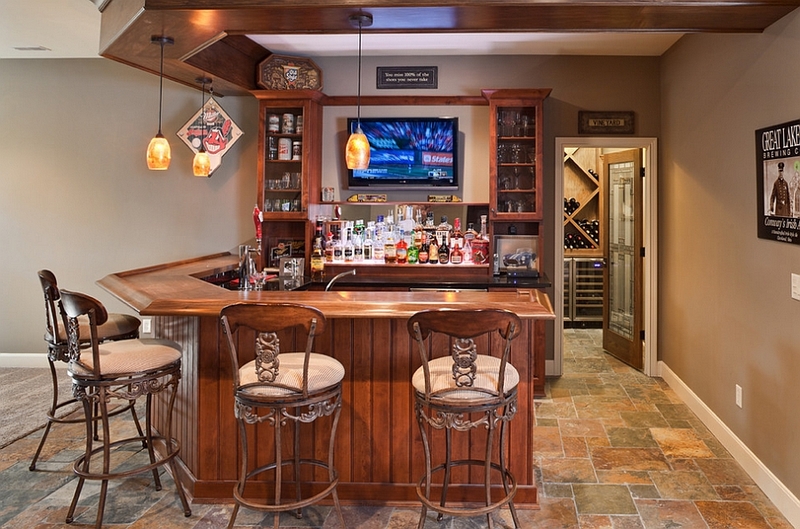 Having a basement bar takes care of many of the party essentials that you need, and it makes use of the forgotten basement space. 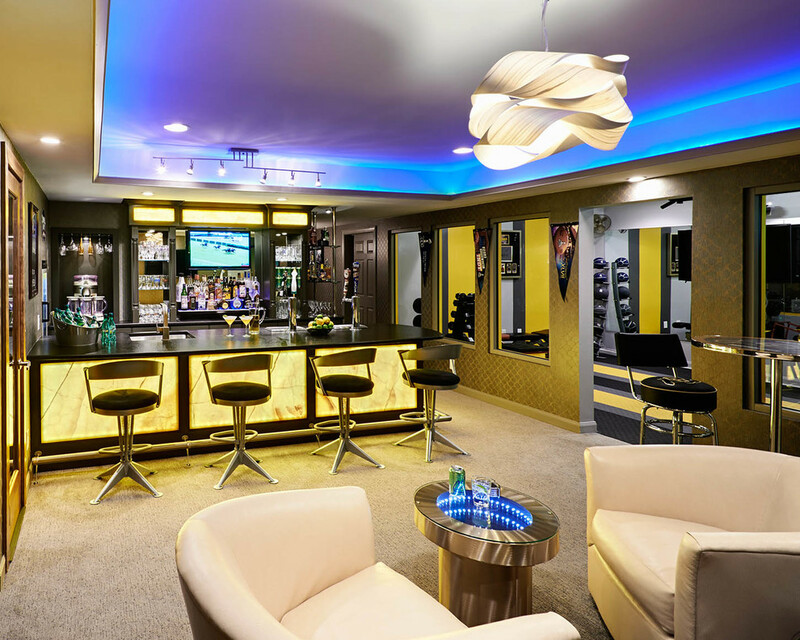 Picking a color palette and materials that are similar to the hangout next to basement bar ensures that it seems like one large, extended area and gives it a spacious appeal. 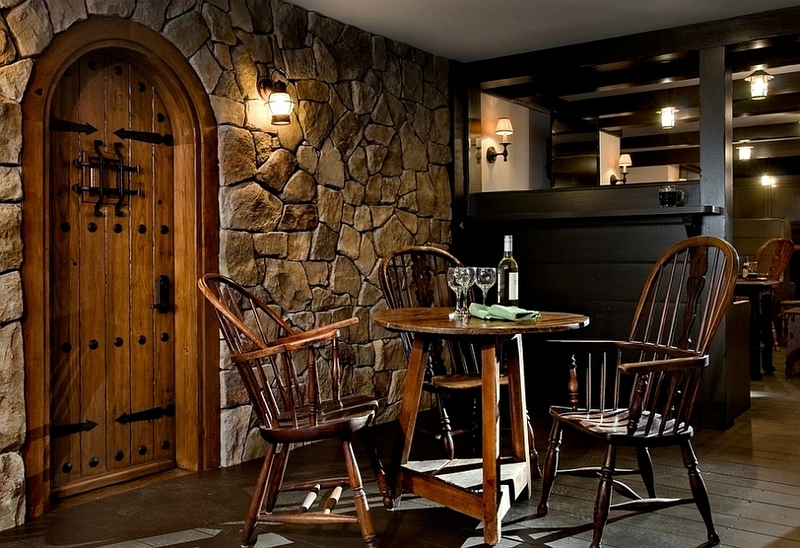 Since basements generally require additional care when it comes to illumination, make sure you have several layers of accent and ambient lighting. 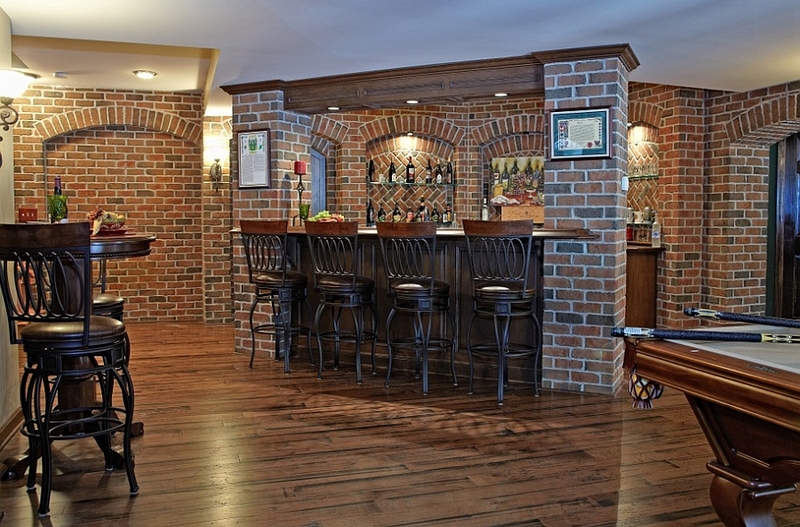 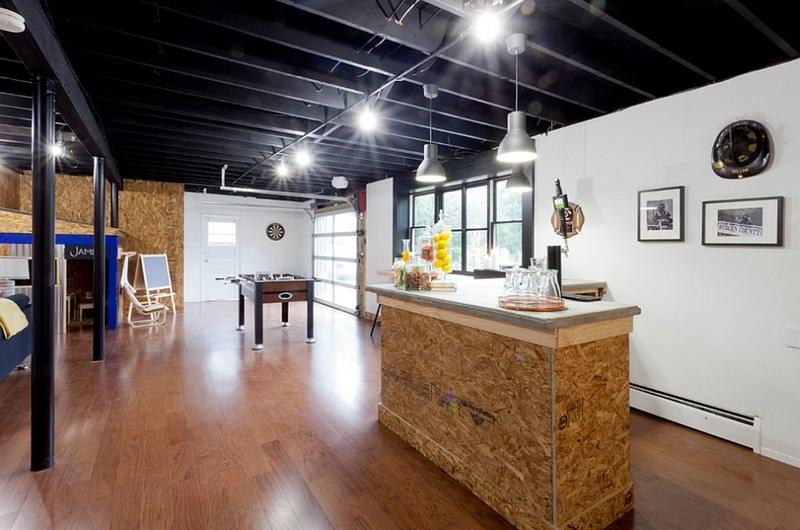 Still worried about space constraints when it comes to incorporating a basement bar? 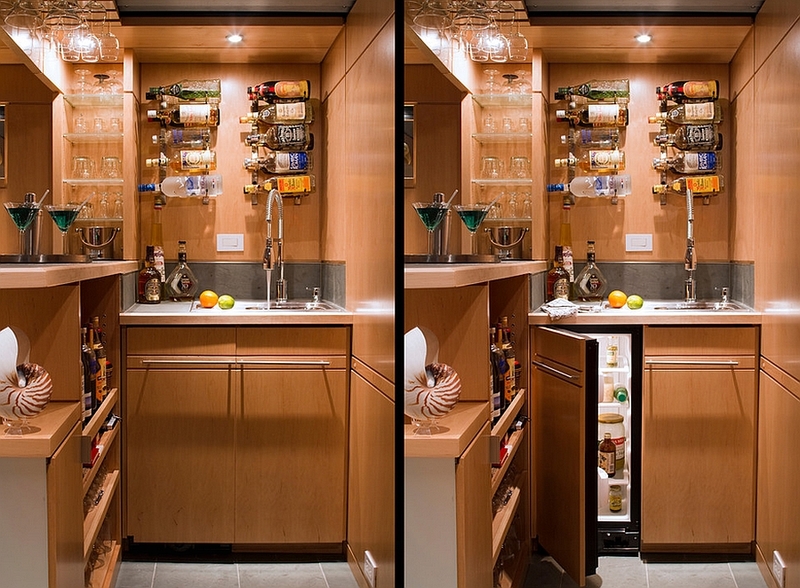 Well, we assure you that with the right planning and creative, space-saving cabinets and design solutions, you can turn even the tiniest corner into a snazzy home bar. 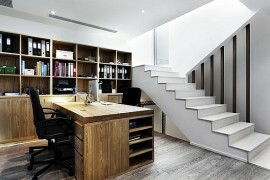 For starters, make use of all the vertical space that is on offer. 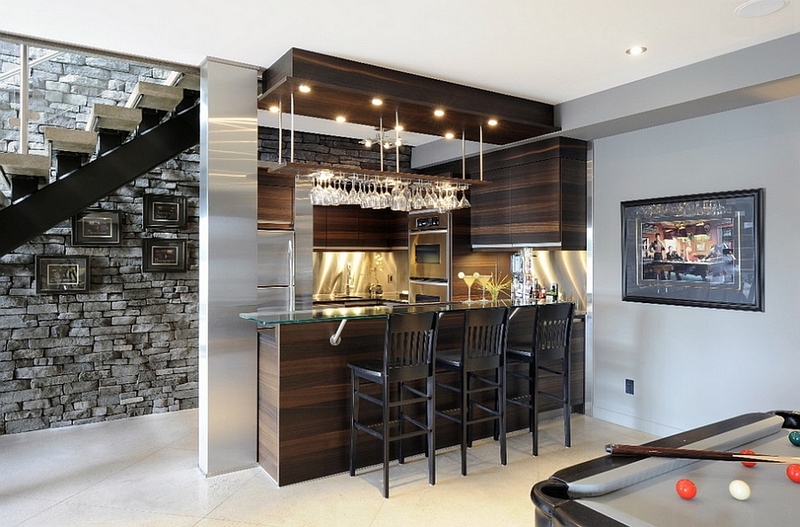 Look towards the space under the staircase as an opportunity to shape the stylish bar. 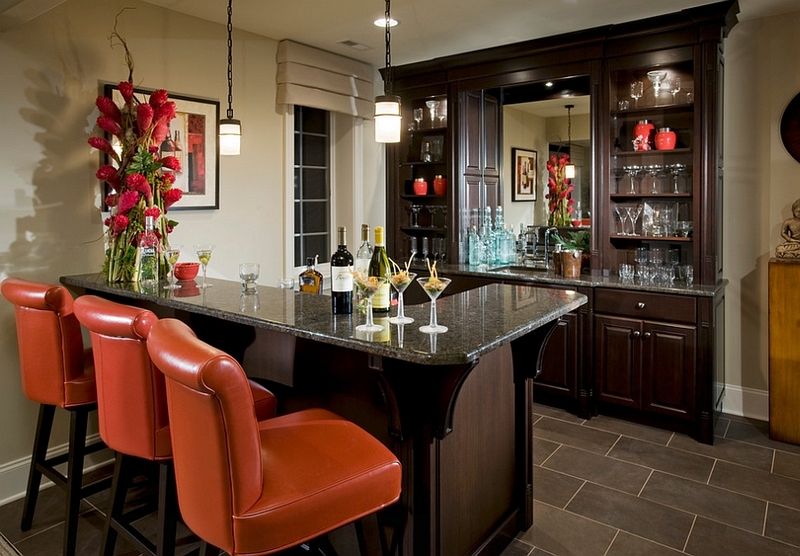 Remember that it is often the smaller home bar designs that look far more attractive than extravagant ones with large counters and islands! 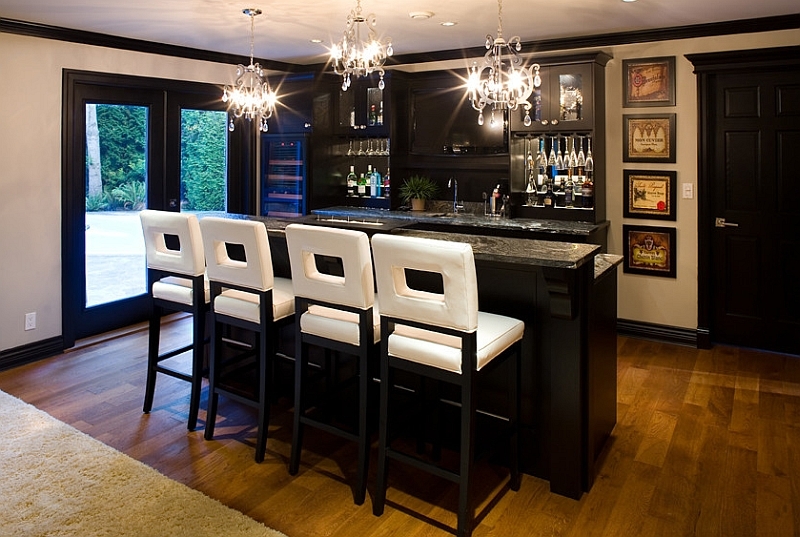 It is the ambiance, mood, lighting and the accessories that truly define a beautiful basement bar and not its size.